Media Design manufactured the outdoor advertise for the corporate building of ADD Bulgaria – one of the leading company for intelligent solutions and systems for control of resource usage. The product range is based on the last communication technologies. The company is constantly developing to provide a quality solutions for its customers. For ADD Bulgaria we produced two large sized logos that we mounted on the roof of the building. The letters are installed on metal construction. We reinforced the channel letters to ensure complete safety. The most used technology for large size channel letters up to 2 meters high is the combination of aluminum, acrylic and 3M film. This technology resists weather impacts and keeps their perfect look for a long time. On the face of the lettering is applied 3M 2330 Scotchcal Translucent Film. The letters made of aluminum profile (Alurapid) are lightweight so their mounting is easier. This advantage is very important when the lettering must be installed at difficult-to-reach places. 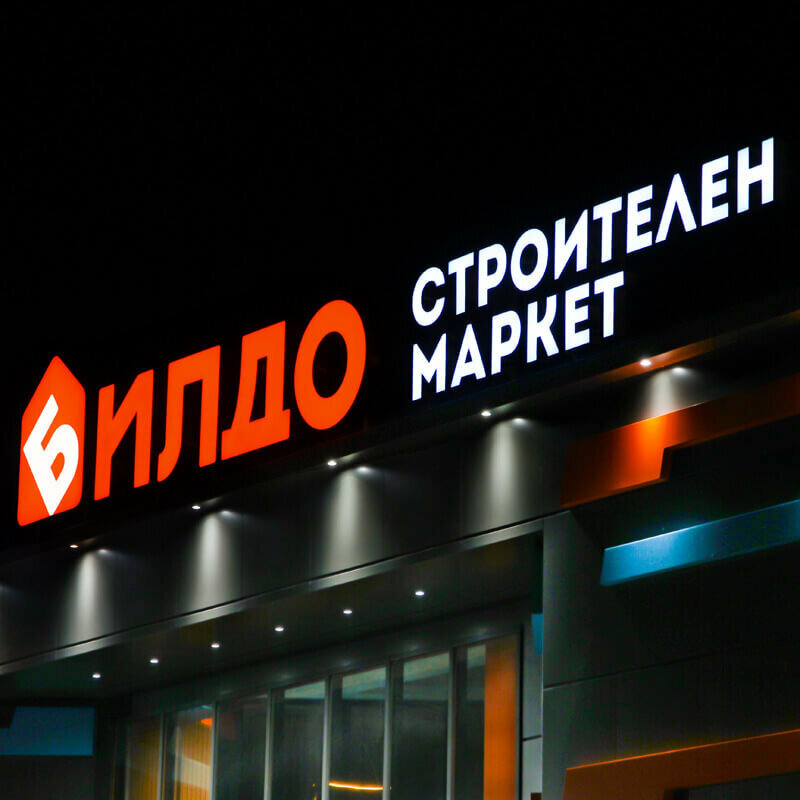 Illuminated channel letters for ADD Bulgaria has a LED illumination – G.O.Q. LED modules.